The Movistar Yamaha MotoGP Team spent an extra day in Jerez today, after yesterday’s Gran Premio de España, to take part in a one-day Official IRTA Test. Maverick Viñales was the 4th fastest rider, whilst Valentino Rossi wrapped up the testing session in 10th position. After a difficult race weekend, the teammates returned to the track after 11AM to evaluate various settings and testing items. Viñales briefly topped the rankings with his fastest time of the day – a 1’38.139s, set on lap 19 – before he took the opportunity to assess various settings. He ended a full day of testing in fourth place, 0.409s from the top of the timesheets, and completed 64 laps in total. He looks forward to putting the new data to use at the next Grand Prix of France, held in two weeks’ time. 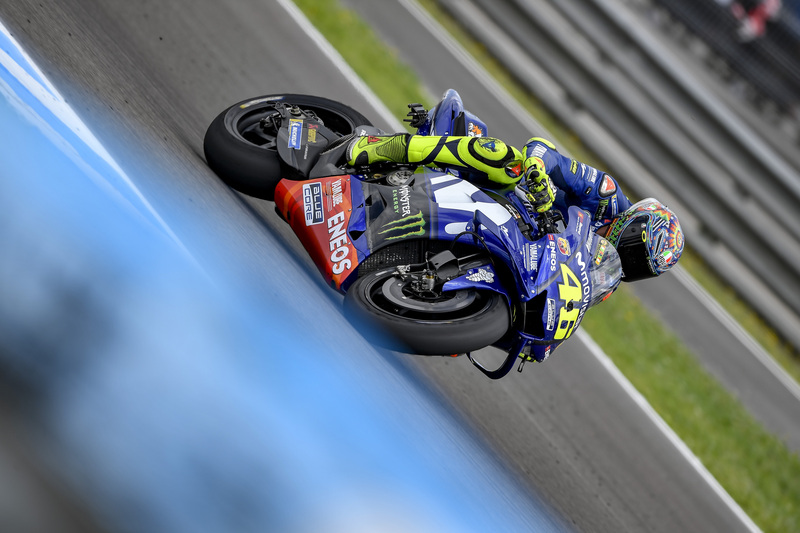 Teammate Rossi was also motivated to get back to work at the Jerez track, where he completed his 40,075th km of Grand Prix racing (the equivalent of a lap around the world) on lap 15 during yesterday’s race. He put his vast experience to good use today when he compared solutions for his YZR-M1 and tried some new Michelin tyres. He rode 69 laps and took tenth place in the timesheets with a best lap time of 1’38.673s, 0.943s from the fastest rider. Just one day after his fantastic second place finish at the Spanish Grand Prix, Johann Zarco was back on track today to go through some different settings aboard his Yamaha YZR-M1. Following some intense working hours and 63 laps at the Jerez Circuit, the French star concluded the official test superbly in first position and was even 0.226 seconds faster than during Qualifying last Saturday. Meanwhile, Hafizh Syahrin decided, together with his experienced Monster Yamaha Tech3 crew, to skip the test in order to fully recover after struggling the entire weekend with pain from a bicycle accident. However, the Malaysian rookie used his time perfectly to gain more MotoGP experience.